Troy is finally home! No more oxygen! No more hospital! I do have to say we were super impressed with Sutter Roseville. They took great care of him and us! Thanks to all of you who prayed and are continuing to pray! The lung has 5% more inflating to go to get back to normal. This means no plane rides for a month. Hoping we can still fly to San Diego for the 4th! The ribs will continue to heal over the next 4 to 6 weeks. 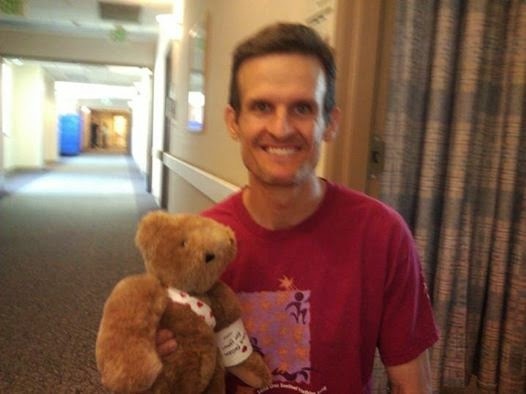 Here are pictures Ariel took of him leaving the hospital...with her bear. So the prayers are working! After 3 days waiting for his right lung to inflate on its own (since it was punctured and deflated some), it finally did! This morning's xray showed great improvement so they will not put a tube in! The downside is that it is there is not enough improvement to be released from the hospital yet. The doc has not given us a time projection so it's going to be a day by day wait. So please pray for the lung to completely inflate and for Troy to come home. 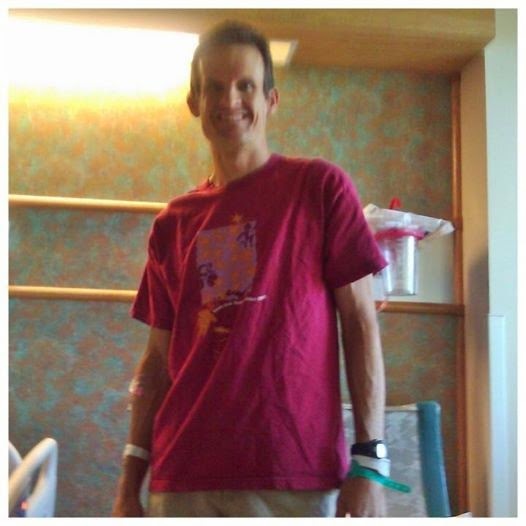 He continues to train hard (see pic) to get out of the hospital. He can take visitors. Just text or call me and I'll let you know if he is sleeping or not. Some of you might have heard that Troy crashed at the Loomis Basin Criterium on Saturday. He broke 6 right ribs (#4 through #9) and punctured his right lung. 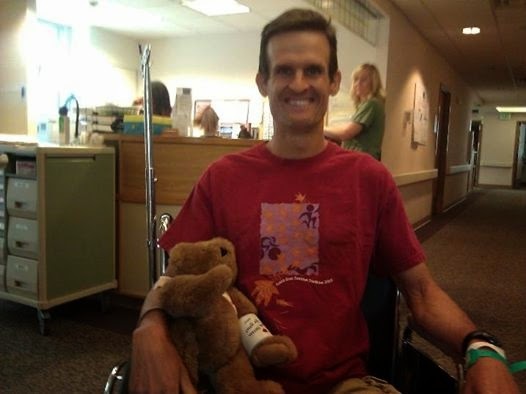 He has been in the hospital since Saturday and the doctor is keeping Troy for at least another day. The lung puncture isn’t worse but it isn’t better. 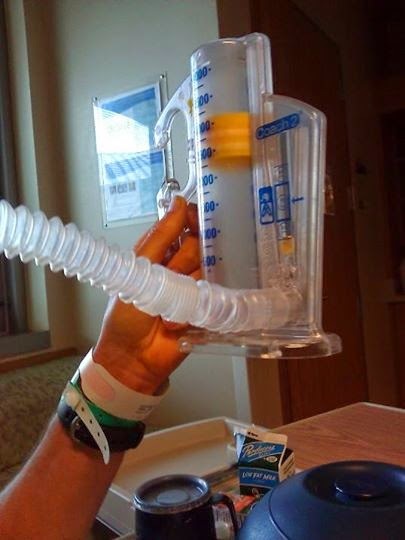 Basically the air that leaked out of his right lung has not been absorbed so they will have to put a tube in the lung tomorrow if the status is the same. If they put a tube in lung that is 2 more days at the hospital. Our prayer is that the puncture will improve on its own so that won’t have to happen and he can come home. We both are confident that the Lord has a great plan and that this is a big opportunity to grow closer to Him and be a light to others.